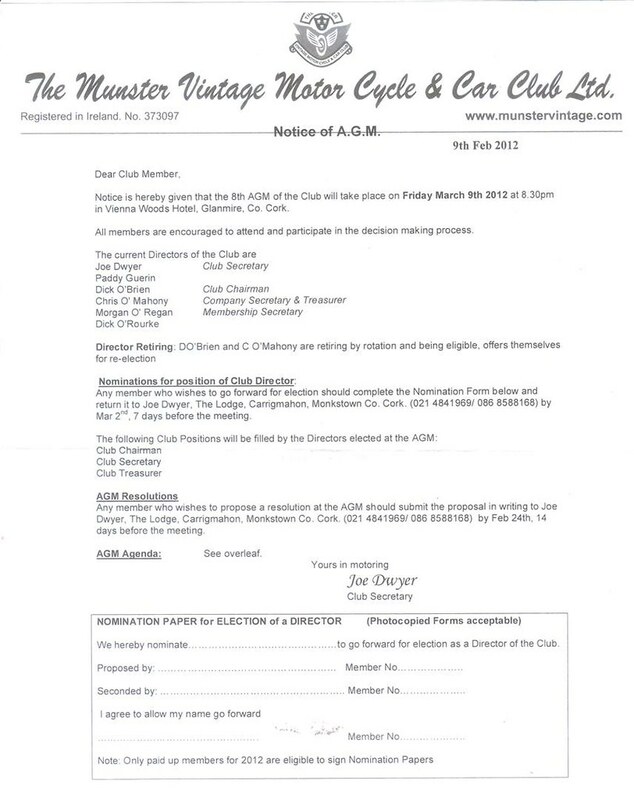 munstervintage.com – Page 29 – The website of the Munster Vintage Motor Cycle and Car Club. The next club meeting takes place on Tuesday, Apr 3rd in Vienna Woods. 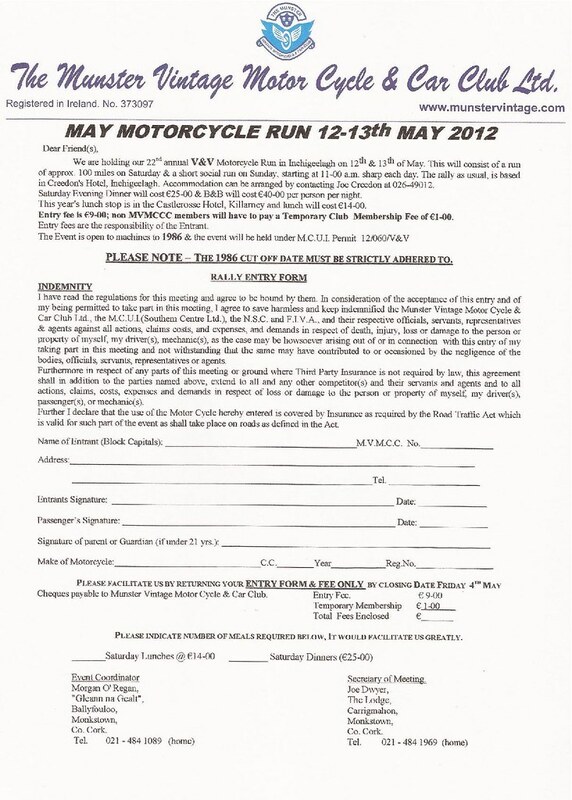 Our next event is the Veteran & Vintage Motorcyle Run on the 12th & 13th of May. This will consist of approximately 100 miles on Saturday and a short, social run on Sunday. For full details see regs and Entry Form which are available here. The rally is, as usual, based in Creedon’s Hotel, Inchigeelagh. John Creedon can be contacted about accomodation at 026-49012. 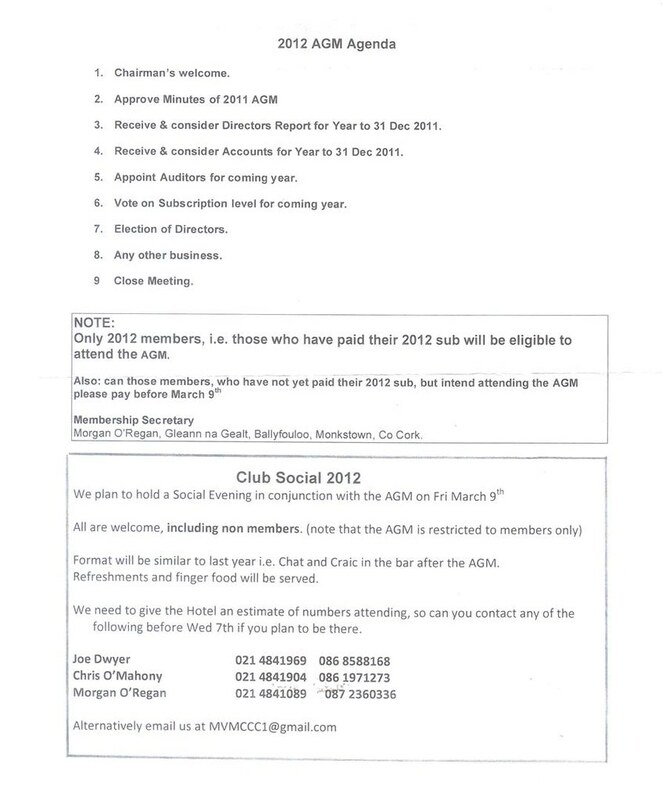 A Social Evening will be held in conjunction with the AGM on Friday March 9th. All, including non-members, are welcome to attend this. In order to give the hotel an idea of numbers attending could you contact any of the following before Weds, March 7th if you plan on being there.